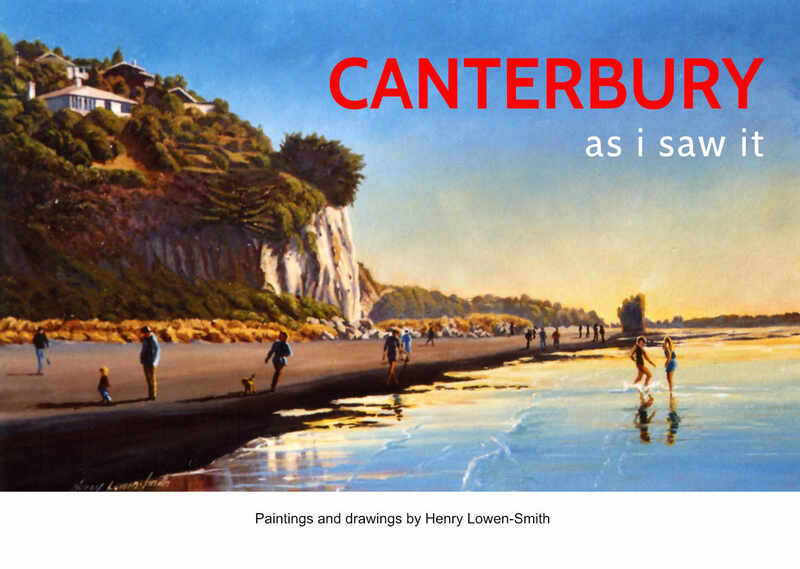 A series of line drawings, pen and wash sketches and oil paintings are part of a collection that I have drawn and painted while living in Ashburton for 70 years and travelling through Canterbury. All drawings were created over the years preceding the earth quakes. To include all of my drawings of the area's I have chosen this book would need many pages. I hope to be able to give each area justice in the future. The areas I have included are Banks Peninsula, Christchurch, Ashburton and rural Canterbury scenes from the Waitaki to the Waimakariri, some of the scenes may not have any historical interest, but they are reminders of what our districts and Canterbury have gone through and the progress of each district. These drawings and paintings remain a reminder of changing architecture. Some of these buildings are still with us, some in neglect, some lovingly cared for and some sadly gone. Gracious family homes vanished under the bustle of urban life and solid practical buildings constructed to serve various forms of industry now long exhausted. What their original function was, they are a memory of our proud heritage. My involvement with art, apart from landscape painting has included a keen interest in buildings, especially old ones, probably because of my involvement in the building trade. With each page in this book I have tried to match a scene of the locality on the opposite page, I have also tried to put some history though not too much, to each scene and drawing, history that I have collected from various people and locations during my travels and from other sources. I hope I have succeeded in producing an interesting book. If any of the text in this book is incorrect, my apologies. This certainly is far the best place I have seen in New Zealand for squatters like ourselves, no place could be better.